Have you got into the habit of aligning your business endeavours with the ever-evolving market scenarios? Not yet? 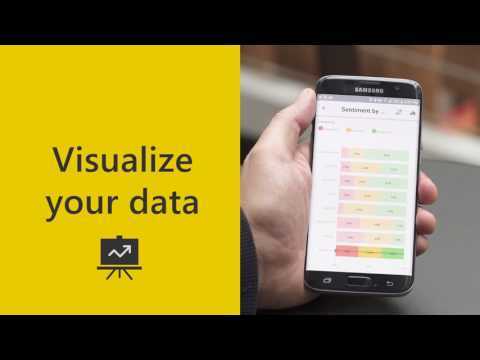 Stop wondering and worrying, you just need to discover the right Microsoft Power BI consulting which can help you drive value from data, the most valuable asset of your organization. Yes, it’s true that there are scores of BI applications and tools out in the market; however, the best one is MS Power BI services. Powered by Microsoft, it is a great tool for aggregating, analyzing, visualizing, and sharing data which ultimately helps you leveraging the power of data. Today, every organization has access to data from various sources. Well, can they capture its worth with the available datasets? With MS Power BI implementation, it is easy to do that as it is rich with features like Power Query, Power Map, Power Pivot, Data Catalog, and so on. All these features will help you in visualizing the data in a graphical manner as per your business requirements. Microsoft Power BI has quite an interactive environment where you can customize the reports using in-built filters and fields and connectors. In fact, this is a great feature which makes it stand out from other BI tools in the market. In an organization there are many tasks carried out manually, at times some departments or representatives need to wait long unnecessarily. Owing to compatibility with various tools and applications, MS Power BI solutions find it easy to keep the teams connected for data and many other vital reports. After driving graphical or colourful visualizations from datasets, you can save the output in the form of reports on your dashboard. Power BI lets you modify and edit these reports. And if you wish to have these reports secluded for your own reference or some other purpose, well you have the option of publishing them online as well offline. Isn’t great a capability? To get complete control over data, Power BI enables you with search query with its interesting component, like Power BI Q & A. It uses NLP. As soon as put in a query on you dashboard or on your reports, it will fetch the results/value from the datasheets in matter of seconds. It’s time to adopt the data-driven approach to boost the overall health of your business. Find the best Power BI vendors that can help you nudge your business on a next level.